After an impressive period of six consecutive weekly gains for equities, optimism officially wore off and skepticism undoubtedly took over, at least for a brief period last week. The S&P 500 and the Dow Jones Industrial Average both closed negative for the week, while the Nasdaq 100 continued its historical eight-week-long winning streak. The decline in stocks came on the heels of a 5% intraday crude oil sell-off, which was the biggest decline in the price of crude oil in well over an entire trading year. At a time when institutional investors increased their net-long positions in crude oil to record levels, betting that OPEC actions would stabilize the market, the oil “crash” seemed to be exacerbated by forced selling and capitulation of bullish bets gone awry after trading in an extremely narrow range since the beginning of the year. Unfortunately for many investors, the oil sell-off spilled into the equity markets. The S&P 500 energy sector fell 2.5% on Wednesday, making it the worst performing sector in the entire stock market. Needless to say, WTI oil took everyone by surprise and by falling beneath the critical level of $50 a barrel. Shares of energy companies didn’t see any reprieve on Thursday and Friday, either, as oil continued to plummet again, this time below $48 a barrel. “In the long run, either OPEC will cut, or demand will pick up a bit of this extra supply. It’s a bit of a tango around the middle-term,” said Michael Poulsen, oil risk manager at A/S Global Risk Management Ltd.
Until then, the record level of oil stockpiles seems to be the driving force behind the plunging price. The US Energy Information Administration reported that crude oil inventories rose by 8.2 million barrels, well above the forecasted 1.1 million. Dramatic plunges in the price of oil are particularly unnerving for many investors, because this is precisely what instigated a temporary bear market in equities circa late 2015. During this time, when oil was trading near $30 a barrel, there was a lot of chatter on Wall Street that many companies who based the majority of their revenue on high oil prices (above $50-$60/barrel), like energy companies, would quickly become insolvent. Furthermore, when the price of oil really started to tank in 2015, the correlation between WTI crude oil and the S&P 500 was extremely high, (almost near 1.00). This meant that the S&P was catching any significant upside or downside movement in oil, and this created tremendous volatility in the market. As such, investors rapidly moved to safe-haven assets like gold and bonds. 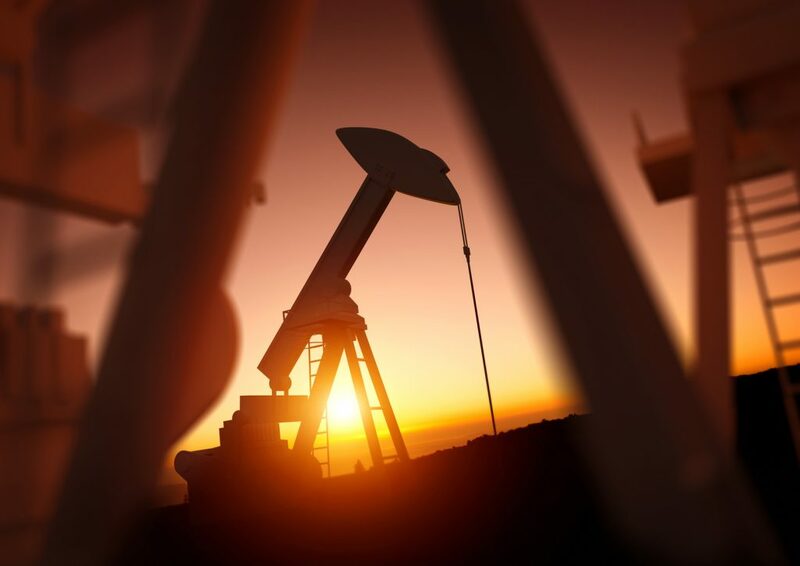 Therefore, given the current situation of a borderline lack of physical infrastructure to store the mounting supply of oil in the US, and the fact that alternative transportation measures like Uber and Tesla are increasing in popularity, there is genuine concern about oil’s future in the modern world. Of course, this is only one side of the oil thesis. The bullish side sees demand increasing from China and emerging economies which analysts predict will send the price of oil above $100 a barrel. This would, as a result, benefit energy companies and broad-based incises around the world. Ultimately, nobody knows what the future holds for oil, but there seems to be one certainty: if oil continues to decline or see large price swings, the effects will unequivocally be felt in the equity markets which will likely be a direct boon for gold owners.